He’s Gary Neville without the jobsworthiness, Cafu on a congestion charge, Dani Alves without the multi-instrumentalism, Alexis Mendomo without the razzmatazz. Anyone who has watched him at club level or Ivorian colours will attest to that. He is a makeshift right-back who is indisputably great. As Jean Jacques Gosso ambles into the restaurant, situated in the hub of Perpignan, he is instantly compatible to his modus operandi on the pitch despite the hazy fog that separates us; a martinet sneersmile etched on his face, his white boots pitter-pattering on the concrete floor, his phosphorescent Cote d’Ivoire jersey utterly blinding – inasmuch as making me reach for my sunglasses – and then, of course, there are those assured, regal strides sealed with tunnel vision which makes one thing irrefragable: this is a man who is going places and fully in control of his destiny. I stood up to greet him as his shade loomed into my personal space and what ensued was crunching, almighty welcome-to-the-restaurant tackle through me. JJG laughed raucously as I withered in pain on the floor. I had been warned by my journo mates that this was his typical initiation to test the mental toughness of the individual. I manned up. He shuffles in his seat as he formulates the rest of his response, inflating his cheeks before exhaling as he prepares to deliver a revelation. “You know, when I’m away on duty with Les Elephants – Didier, Salomon, Yaya – suddenly I started to see these guys getting interviews and the mega deals. I thought ‘You know what? I wouldn’t mind being part of that’. This is when I caught Acute Mainstream Syndrome. Come the summer, I was whoring myself out to clubs. And this is when Orduspor decided to get rid.” He sheds a tear as he approaches the end of the sentence, the rhythm of his dread-stroking derailed for the first time. 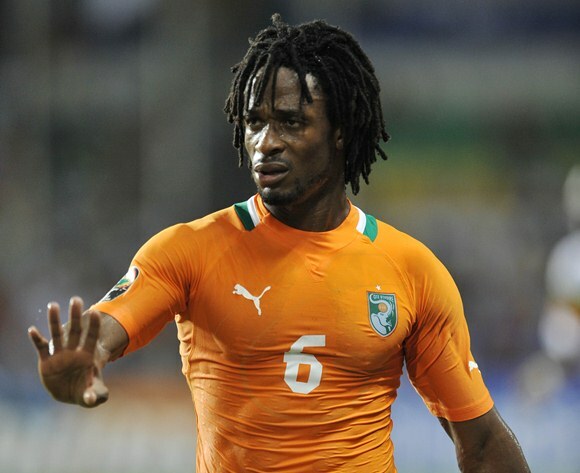 Indeed, Gosso would be reinstated to the Ivorian line-up in their 4-2 win over Tanzania for the first time since Cote d’Ivoire’s traumatic defeat to Zambia in the 2012 Afcon final. He would play alongside the heir to his throne in a maelstrom midfield pivot, the scythe-tackling Serey Die. Gosso nods at a reminder that Pele believes they are the greatest midfield pivot in the world.